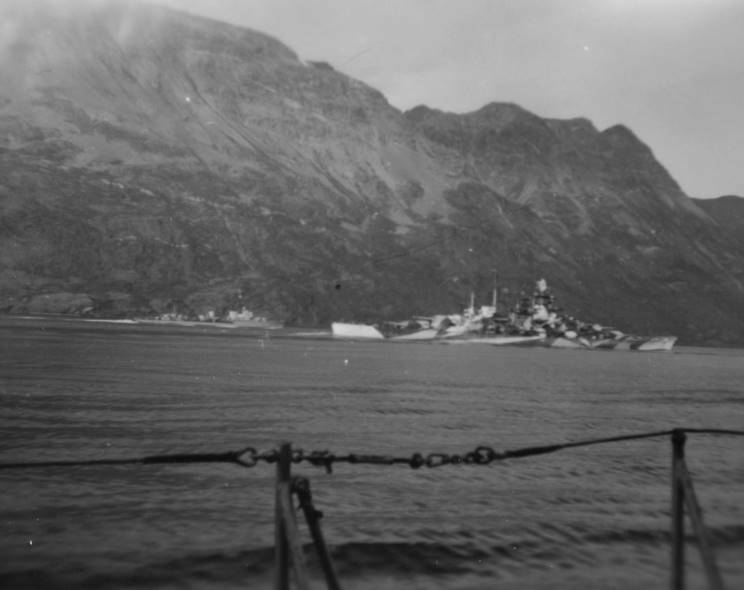 Tirpitz in Altenfjord, Norway in July 1942. 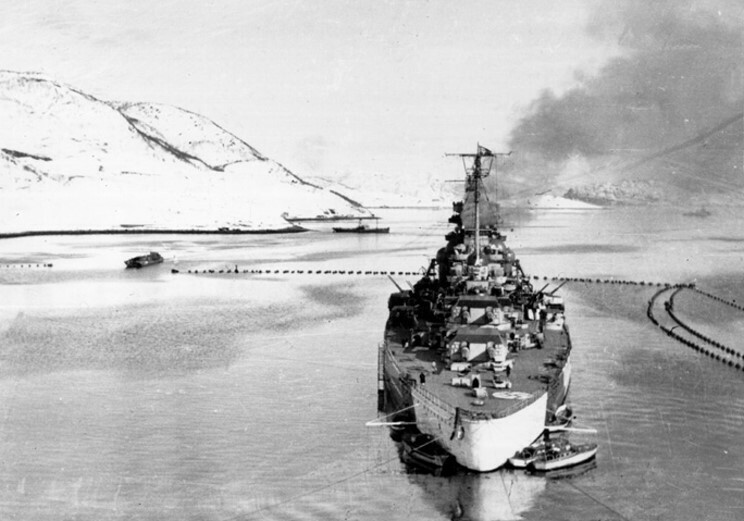 Tirpitz anchored in the Kåfjord, Norway in March 1943. 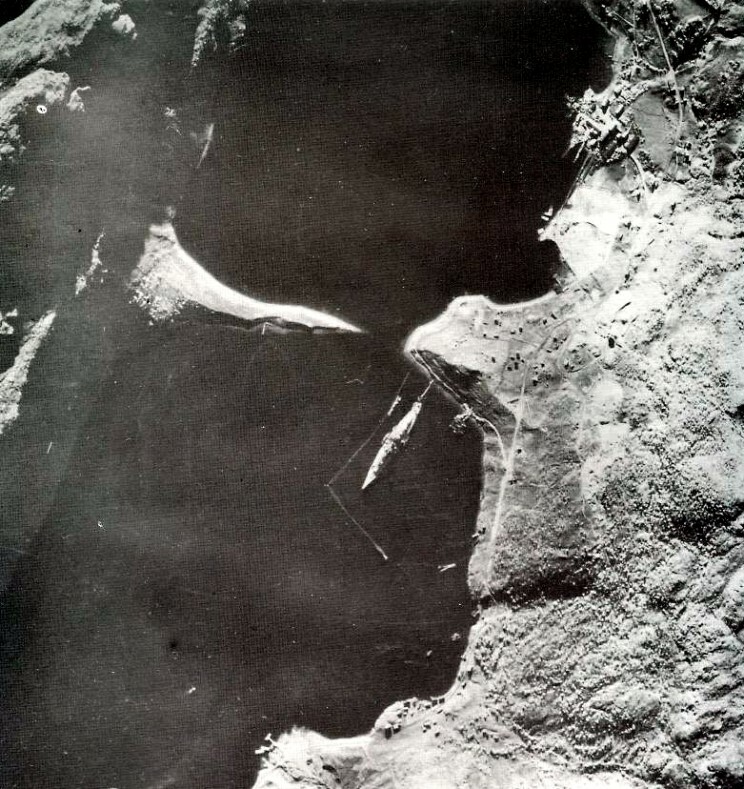 September 6-9, 1943: Tirpitz seen during the operation against Svalbard (Spitsbergen) Norway. 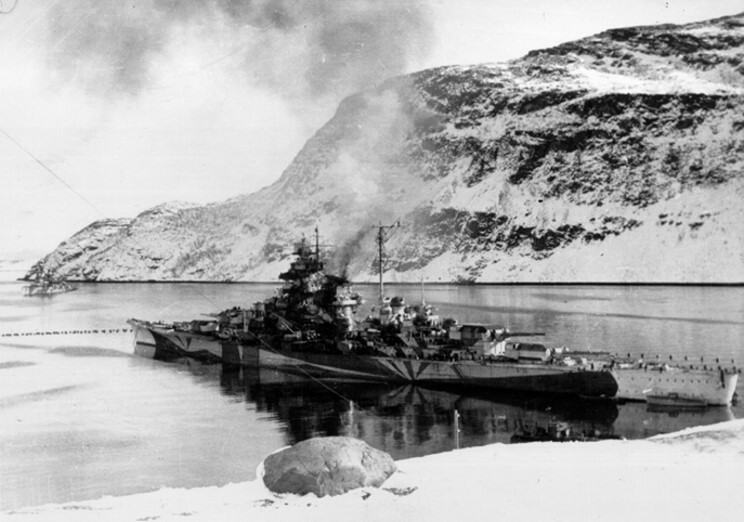 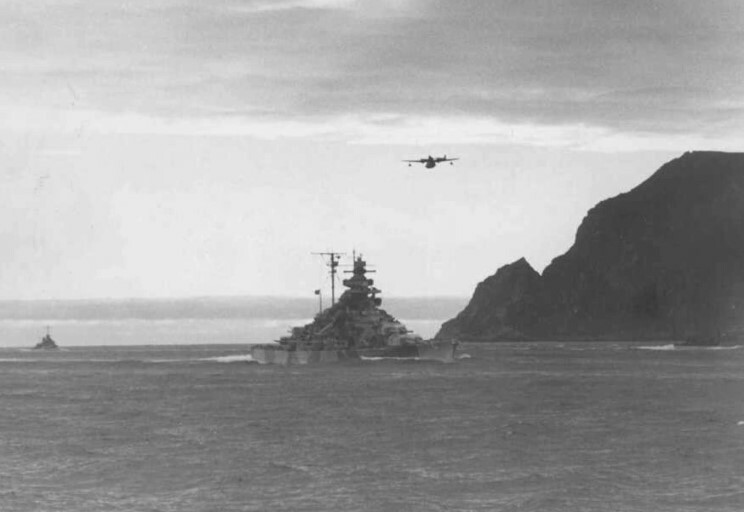 April 3, 1944: Tirpitz under attack by British aircraft in Kåfjord, Norway, Tirpitz was hit 15 times in the attack.